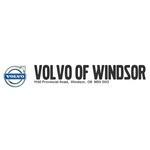 Volvo of Windsor is a new and pre-owned Volvo car dealership in Windsor, ON serving Southern Ontario. They offer a complete line up of quality Volvo cars. Steve Virag is the General Manager of Volvo of Windsor.